Need a lesson in handling controversy? Then look no further than Protein World and their 2015 ad campaign. It all started with one question: Are you Beach Body Ready? 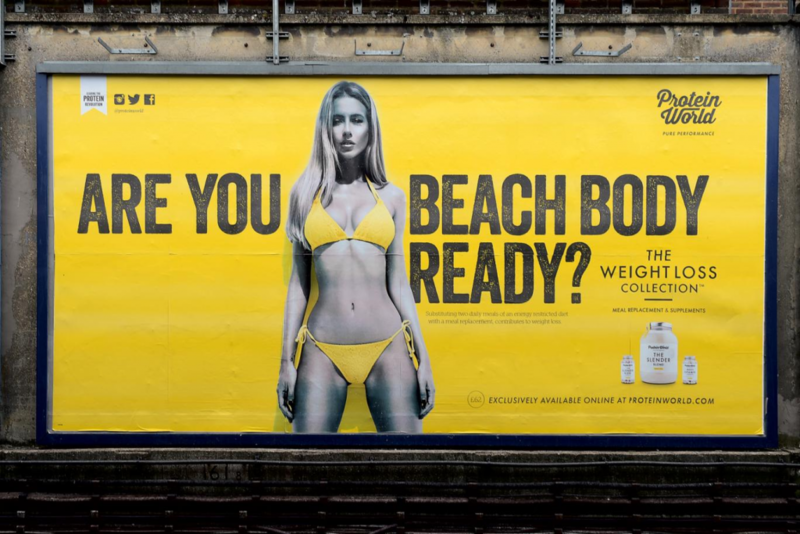 In 2015, the sports supplement company launched a campaign of visually striking ads across the Tube asking commuters one question; Are you Beach Body Ready? Promoting their weight loss collection, the poster below started generating unexpected publicity for what would normally be considered all the wrong reasons. Ads featuring models far superior to the likes of us are nothing new in the mainstream media, but something tipped with Protein World. The ad was labelled as objectifying women. It was socially irresponsible and shamed women for their physical appearance. People defaced the posters with their own captions. A petition on Change.org generated 70k signatures calling for their removal and the Advertising Standards Authority received over 350 complaints. The attention spiralled and soon Protein World was on TV, as well as every major online news site. And the result? They made a direct £1 million worth of sales. The fitness industry is a saturated one, bloated by thousands of gyms and supplement companies all vying for our attention. Even before the controversy, Protein World chose a different path. Bold imagery and bolder messaging helped it to stand out – even though you can buy almost identical products from a dozen other companies. 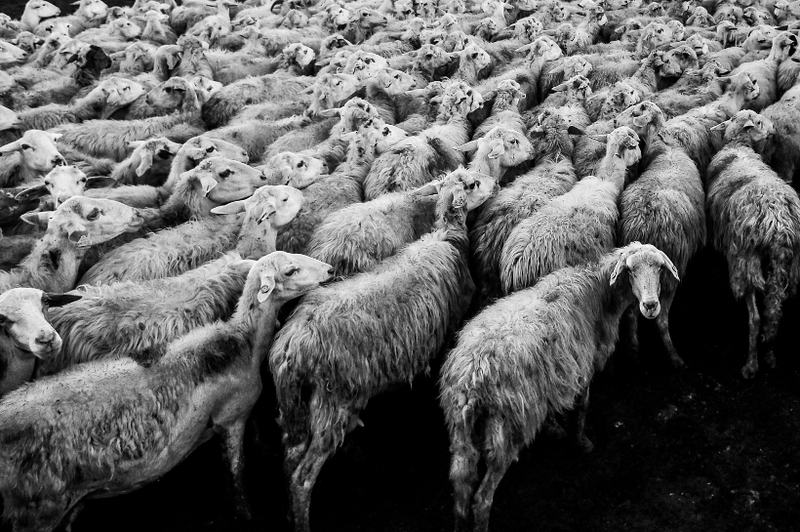 Think about how your marketing could be different to stand out from the competition. If you need a more extreme example then have a look at Equinox gym campaigns who deliberately choose to be different. In their own words their campaign is “subversive, sexual, transgressive and progressive’. Check out the campaign here. Many businesses in Protein World’s position would often roll over, apologise and amend. Not Protein World. They held firm, defending their values and maintaining what keeps Protein World unique. Criticism of the brand on social media posts were responded to with defiance. Head of Global Marketing, Richard Staveley was even interviewed on Good Morning Britain providing a staunch defence of their campaign all of which helped them to spread their message to an even greater audience. If you’re caught up in a storm make a choice of how to respond and stick to it, but do not undermine the values that make you who you are. The stir caused by the campaign didn’t just benefit Protein World. 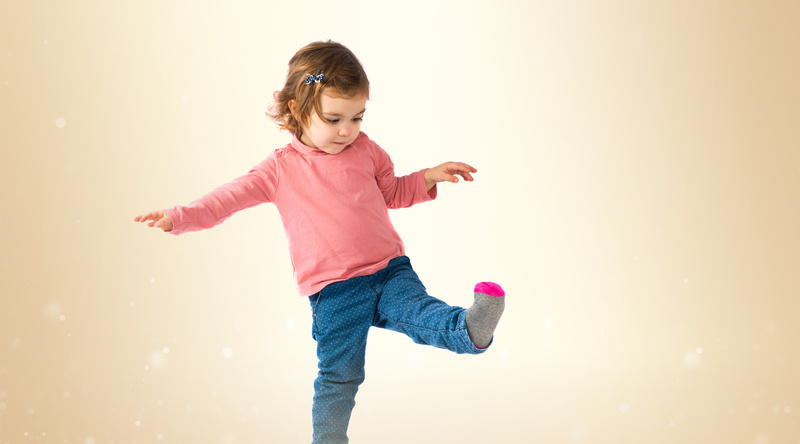 Agile marketers at other major companies were able to capitalise on the discussion with their own spoof ads – (which conformed to the values of their own brands). 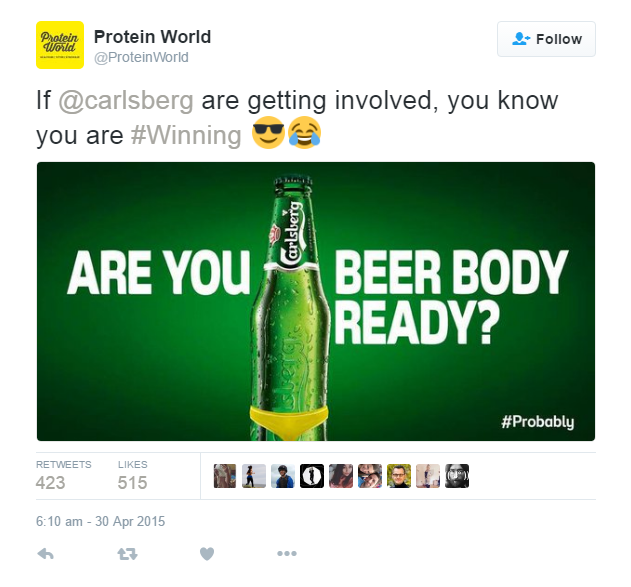 Carlsberg Are you Beer Body Ready? So, if a campaign is going well which your audience can relate to then by all means piggyback on the chatter of others to generate higher exposure for a reduced cost. What do you think of the Protein World campaign? Tweet us at @unwrittenteam.